Maybe no one more than Dustin Johnson is looking forward to this week’s Pebble Beach Pro-Am, which begins Thursday. For a variety of reasons Johnson probably had this date circled on his calendar. The first is his success at this event. Johnson has won the tournament in 2009 and 2010. He has five other top-10 finishes since then, including finishing tied for second twice. While some golfers shy away from being paired with an amateur, Johnson embraces this format. He talked about his affinity for the tournament last year. It is no surprise with his success here that he is the favorite at either 5/1 or 6/1 depending on the sportsbook. The next golfer is Jason Day at 10/1. Johnson might have a little extra motivation for winning this week after missing out on a chance to win his third time there last year. He shot an even par 72 in the final round and finished tied for second. 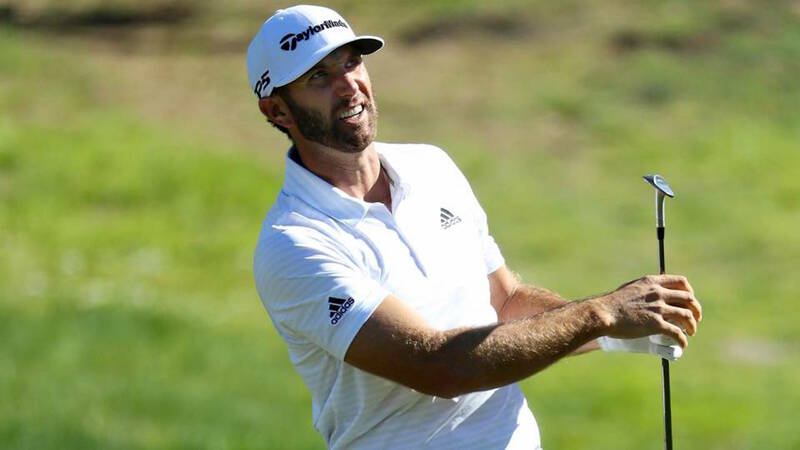 Johnson was frustrated he couldn’t get closer to winner, Ted Potter, Jr.
Four months after this event the US Open will be held at Pebble Beach, and this week could tell a lot of what might happen in June. When the nation’s championship was held here last, in 2010, Johnson finished tied for eighth. He was the 11/1 favorite last year and ultimately finished third. He will be one of the favorites for this year’s Open considering his year thus far, and his success at this major. Johnson will also be looking to regain the top spot at the Official World Golf Rankings. Johnson was on top, but lost his position to Justin Rose.